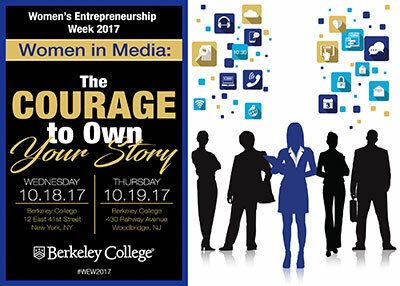 Melissa DeRosa, Secretary to New York State Governor Andrew M. Cuomo, will serve as the keynote speaker for “Women in Media: The Courage to Own Your Story,” an event hosted by Berkeley College at its campus in Midtown Manhattan, NY, on October 18, 2017, in honor of Women’s Entrepreneurship Week. 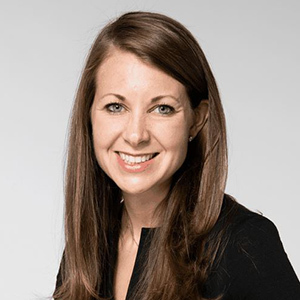 Ms. DeRosa will share her experience in managing communications and press for the Governor with an audience of entrepreneurs, students and community leaders. “Women in Media: The Courage to Own Your Story” will also feature panel discussions with prominent women leaders over the course of two days; first in Midtown Manhattan on October 18, and then at Berkeley College in Woodbridge, NJ, on October 19. Different panelists will address how women are shaping the news landscape, how small businesses can stand out by sharing their stories, and how entrepreneurs can develop and protect their digital presence. “Women’s Entrepreneurship Week at Berkeley College gives us an opportunity to bring together influencers in government, business and media for a dialogue on how entrepreneurs can shape their stories and build a media presence in a crowded digital world,” said Angela Harrington, Vice President, Communications and External Relations, Berkeley College. Prominent leaders participating in panel discussions on October 18 in Midtown Manhattan include Jill Kaplan, Vice President and Publisher, Crain’s New York Business; Bernadine Han, Group Vice President, Spectrum Networks; Jenna Flanagan, Host/Reporter, “MetroFocus,” WLIW21 for WNET; Monica C. Smith, CEO and Founder, Marketsmith Inc.; Elana Zolfo, EdD, Dean, Berkeley College Larry L. Luing School of Business®; Marla Diamond, Reporter and Anchor, WCBS Newsradio 880; Cristyne Nicholas, CEO, Nicholas & Lence Communications; Hilary Russ, Municipal Bond and Public Finance Reporter, Reuters; Angie Tang, Board Trustee, Berkeley College, and Impact Investing Advisor; Gail Smith, Managing Director, Impacto Latino; Christal Young, Fashion Correspondent, FOX 5 New York; Amy Soricelli, Vice President, Career Services, Berkeley College; and Dena Bateh, PhD, Professor, Management, Berkeley College Larry L. Luing School of Business. Prominent leaders participating in panel discussions on October 19 in Woodbridge are Nancy Meyer, President and Publisher, North Jersey Media Group; Joanna Gagis, Host, “Life & Living” on NJTV and FiOS1, Caucus Educational Corporation; Kate Tomlinson, Publisher and Editor-in-Chief, New Jersey Monthly; Elayne McClaine, Regional Director, New Jersey Small Business Development Center at Rutgers New Brunswick; Alexandra Hill, Reporter/Afternoon News Anchor, WBGO 88.3 FM; Mary Wagner, PhD, Associate Dean, Berkeley College School of Graduate Studies; Alka Agrawal, COO/General Manager, EBC Radio; and Meg Fry, Business Reporter, ROI-NJ. There is no charge to attend. However, space is limited and registration is required. To register for “Women in Media: The Courage to Own Your Story” at Berkeley College in Midtown Manhattan, NY, click here. To register for the event in Woodbridge, NJ, on October 19, click here. To view a high-resolution version of Melissa DeRosa’s headshot, click here.